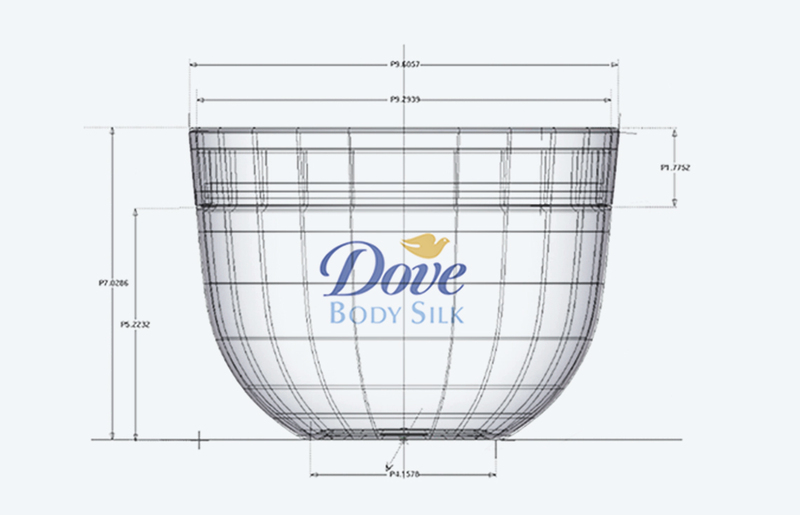 We developed the jar shape for Dove’s “Body Silk” cream. In addition to designing a particularly hand-friendly shape, the choice of materials was also crucial to convey a silky soft impression. The surface feel (matt surface structure) and the use of a translucent lid reinforce the feminine character.